This RJ & Technique album is one of the reasons why I love giving light to good music here on WGM. 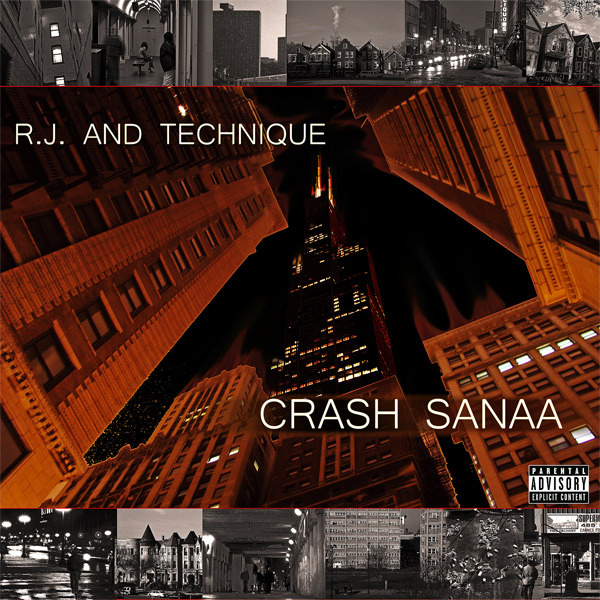 Crash Sanaa has that grown Hip-Hop feel to it that lets you enjoy the entire album and not want to skip a track. Hailing from the Chi these two combined with the amazing jazzy and straight beats by Stevo make one very powerful album that touches on stories and lessons that people can actually relate to and enjoy. Giant homie Savant of RAREBREED produced Windy's for them and that track is what you would expect from REF... pure dope. Another "Do yourself a favor" album, get it now!